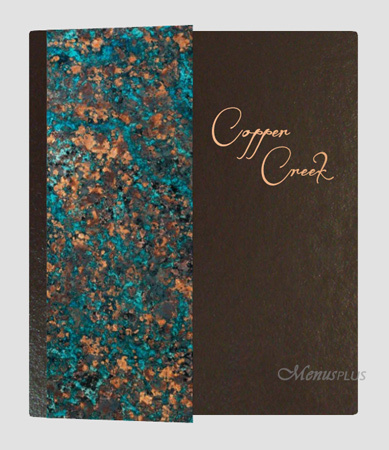 Custom Menu Covers in special sizes, materials and design by Menusplus will make that special statement to your restaurant guests. 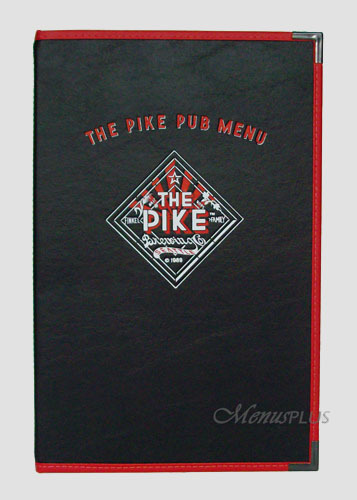 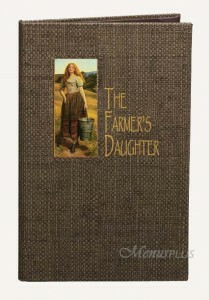 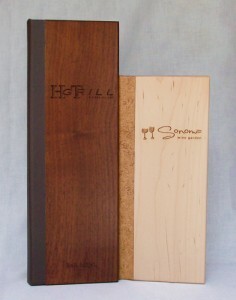 Menusplus is the leader in Custom Menu Cover Design and Manufacturing. We are dedicated to creating custom menu covers, menu covers, wine list covers, guest room directories and related products to meet the unique needs of your particular restaurant or hotel. Our manufacturing capabilities enable us to create unique designs and quality menu covers made with durable materials and superior workmanship in the USA. 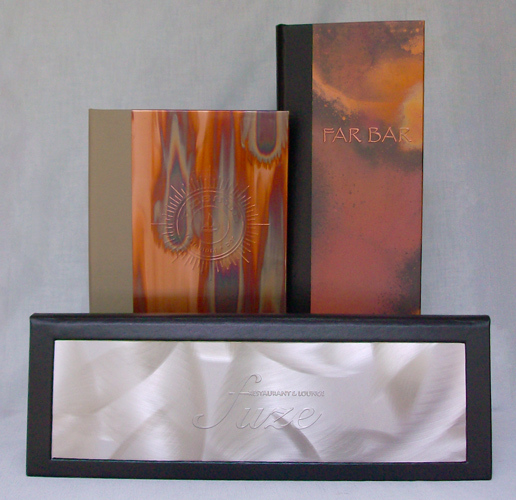 Our experience enables us to advise and/or resolve custom presentation challenges. 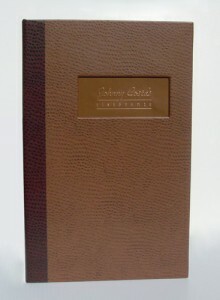 We take pride in recommending the right cover material, configuration and menu cover design for each individual client. We can assist you with creating your own custom menu covers from our vast selection of standard cover materials, the largest selection of lining materials and foil colors or create a totally unique custom menu cover design for your restaurant. Custom Designed Menu Cover in uniquely textured Cambria material with gold and black foil decoration. 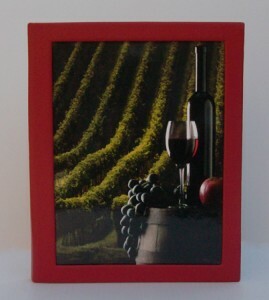 Looking for something more casual in a menu holder, we can help! 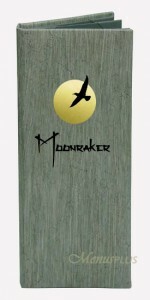 Coordinate or mix and match colors. 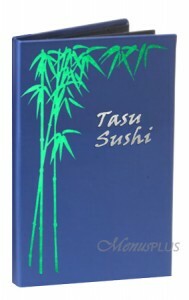 Or we can create a totally unique custom menu cover design for your restaurant or bar. Royal Cafe Custom Menu Covers with black imitation leather, red binding and white and red foil decoration. 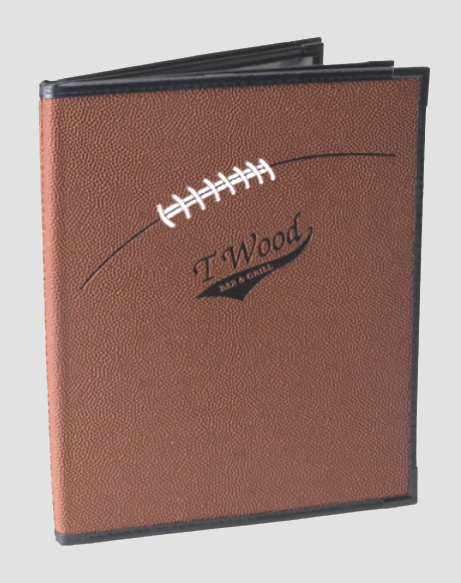 Sports Bar Menu Cover in rugged Football material with black binding and custom designed decoration in black and white foil. 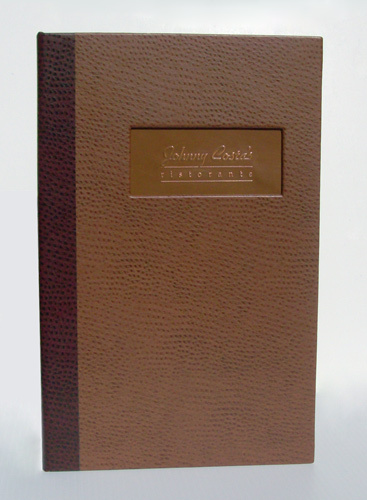 Two toned Ostrich material cover, window with antique copper inset. We can make windows in most any size and shape to fit pictures or insets such as metal or wood for your custom menu covers.